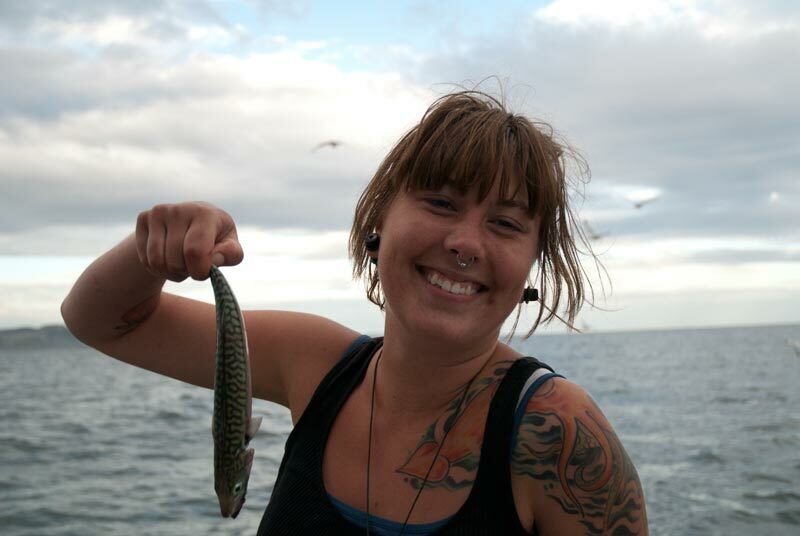 Mackerel fishing is a very popular family activity, it suits all ages and abilities. 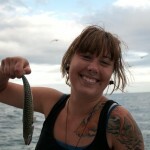 We provide fishing lines, advice and encouragement. We want you to have a memorable trip. 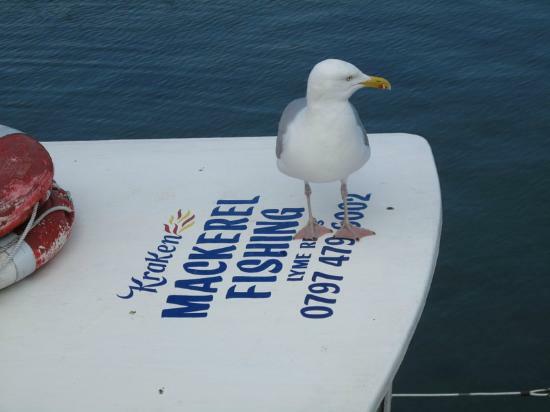 Nick runs one hour mackerel fishing trips from the Cobb Harbour in Lyme Regis several times a day and it is best to call Nick first to be sure of a seat 0797 479 6002. If your a bit of a chancer then you could just head down to the Cobb at Lyme Regis and ask for Nick. Why not book the boat for your friends family or group at a time that suits you? 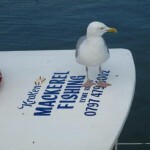 We can cater for up to 11 people but for schools or larger groups Nick can arrange more boats. This type of booking can be for 1 – 3 hours. Call Nick to discuss his rates and your plans. 0797 479 6002. Usually in the Spring and Autumn but available by private charter at any time. Nick also offers sightseeing trips along the Undercliff / East Devon coast , groups of up to 11 people can be catered for. This trip takes a minimum of one and a half hours and is perfect for seeing the Jurassic Coastline or coast from a different perspective. Longer trips can be arranged by private charter. 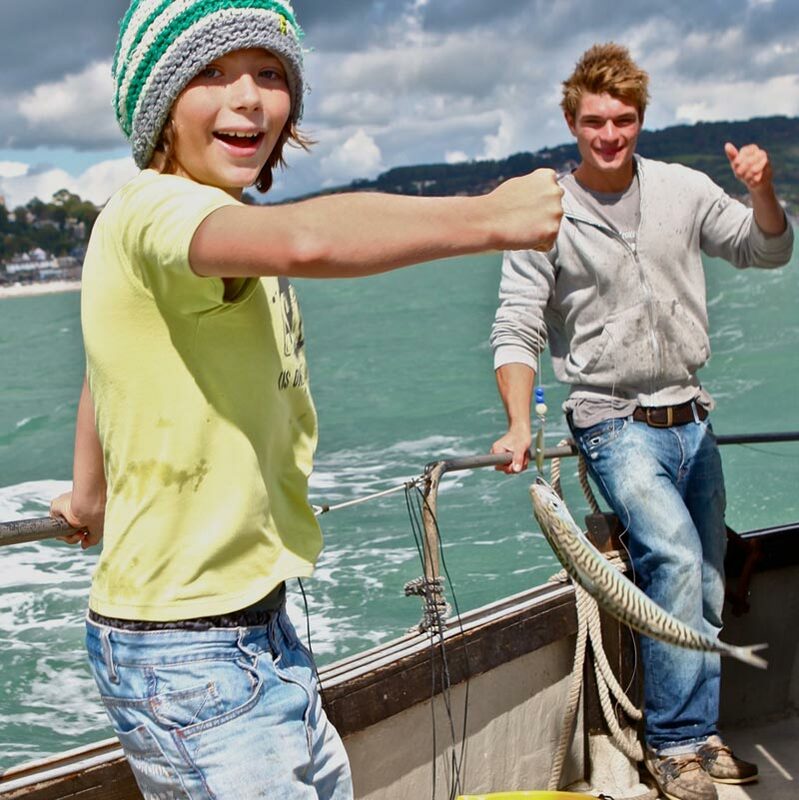 From the boat you can sit back, relax and see the Jurassic Coast. Visiting Dolphins have been seen on these trips. Go to the Dolphin Gallery or our main Gallery to take a peek at what you might see. This is an informal outing Nick will talk to you about the cliffs, sea , coastline and wildlife he has known all his life.